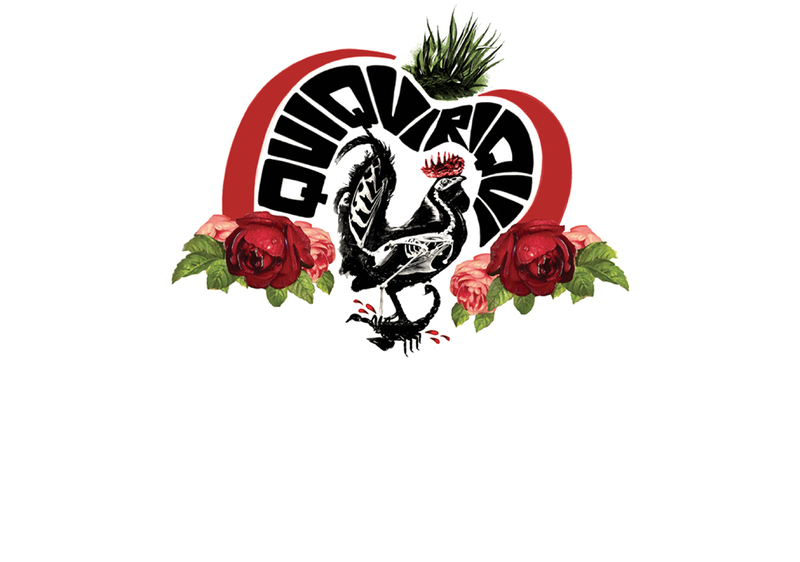 QuiQuiRiQui mezcals are small handcrafted spirits made in Oaxaca, in Mexico’s south. Using locally grown agave plants such as the Espadin variety which take at least seven years to reach maturity, the spirits are all rich in vegetal flavours and produced to order in small batches. QuiQuiRiQui Matatlan is an unaged mezcal made in Santiago Matatlan, a village with a long history of mezcal production, using Espadin agaves. These ripen in fields surrounding the village, thriving in the humidity and heat. After seven or more years they are harvested and the cores are roasted in fire pits before being crushed by the traditional Tahona stone to extract all the rich agave juices. Fermentation takes place outdoors from naturally occurring yeasts until the liquid is finally ready for distillation through small copper stills, resulting in a full flavoured mezcal perfect for adding depth and character to any agave cocktails. QuiQuiRiQui Matatlan – 45% ABV – has a smooth taste with distinct roasted agave flavours and a peppery finish that is characteristic with the Espadin agave plant.